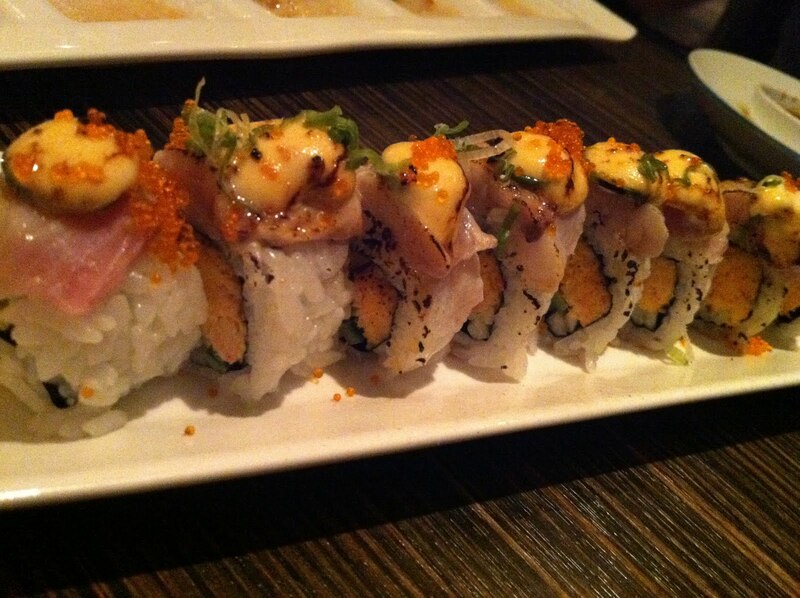 Wow, this roll was frickin’ amazing! I loved the heat from all the spicy components, and it looked pretty cool too. I thought I would experience Montezuma’s revenge afterward, but I didn’t – hehe! The lightly seared sea bass tasted great and had a great texture. The chili aioli was so flavorful and I loved the pale yellow color of it. The sliced chiles added extra heat and flavor. Not sure I could really distinguished the gobo (burdock root), but I actually didn’t know what it was when I ordered the roll. 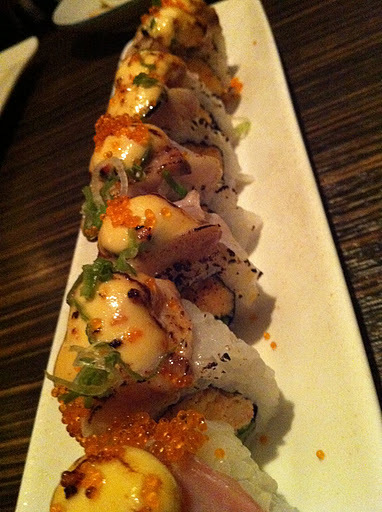 I will definitely order this delicious roll again! This entry was posted in Restaurant, Tokyo Go-Go and tagged aioli, avocado, burdock root, chili pepper, crab, cucumber, fish, green onion, Japanese, sea bass, sushi, tobiko by vicentesf. Bookmark the permalink.